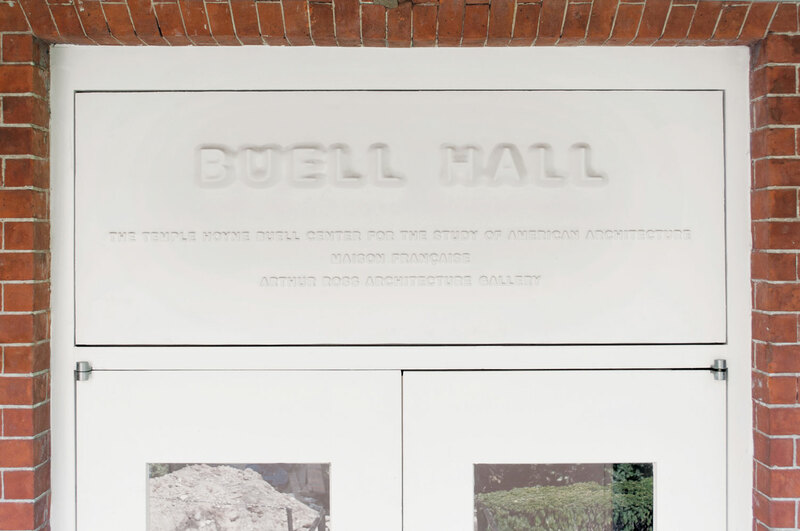 Built in 1885, Buell Hall is one of the oldest buildings on Columbia University’s Morningside Campus and home to the Temple Hoyne Buell Center for the Study of American Architecture, Maison Française, Arthur Ross Architecture Gallery and faculty offices for the Graduate School of Architecture, Planning and Preservation. 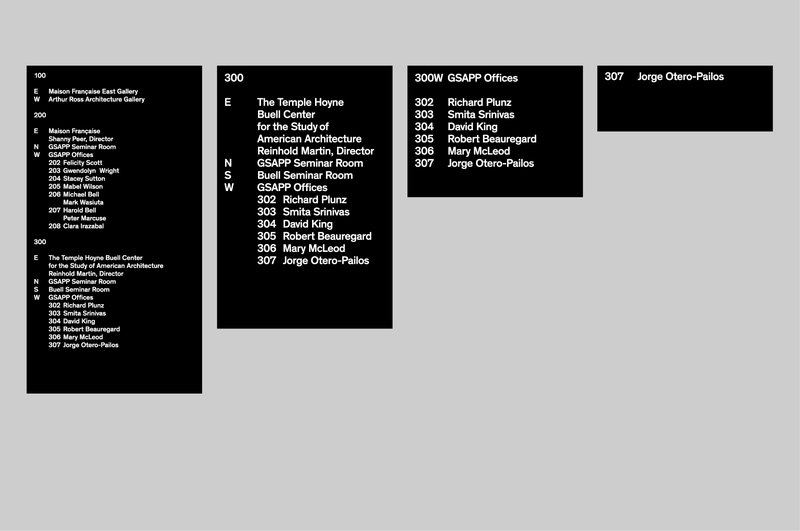 In 2013, the University asked MTWTF to design building, lobby, and wayfinding signage as part of the renovation of the ground floor spaces. 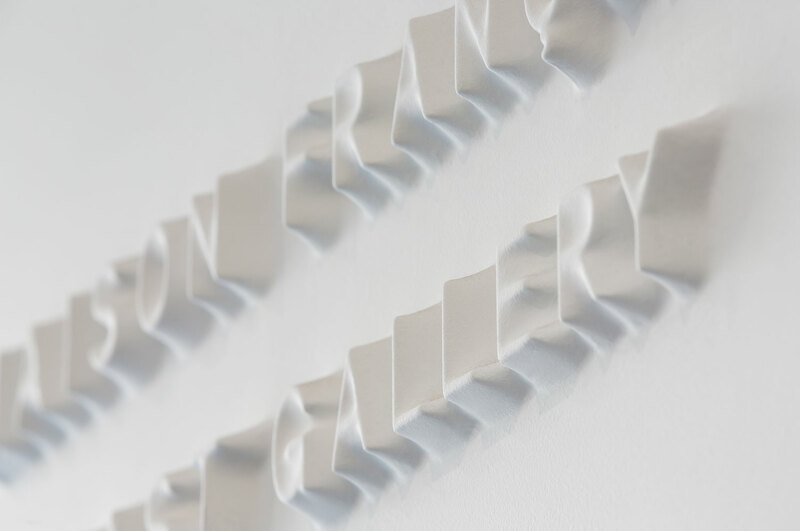 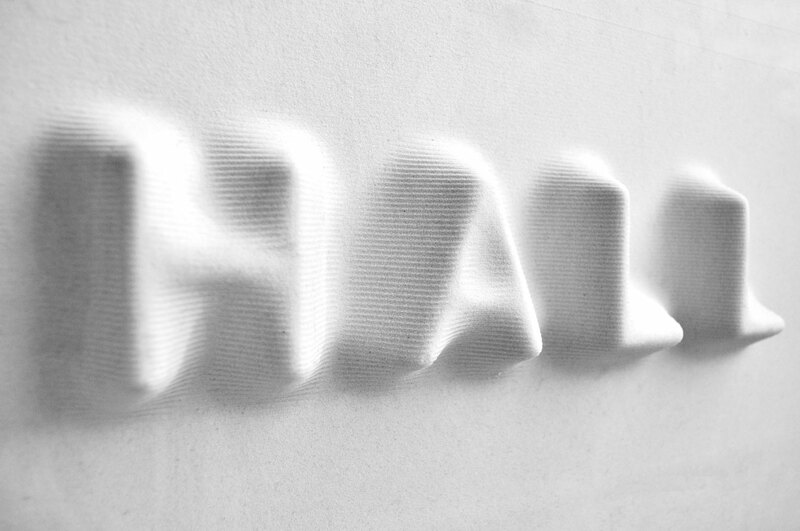 For the building and lobby, MTWTF created soft, three-dimensional typographic signs which appear to emerge out of the wall surface. 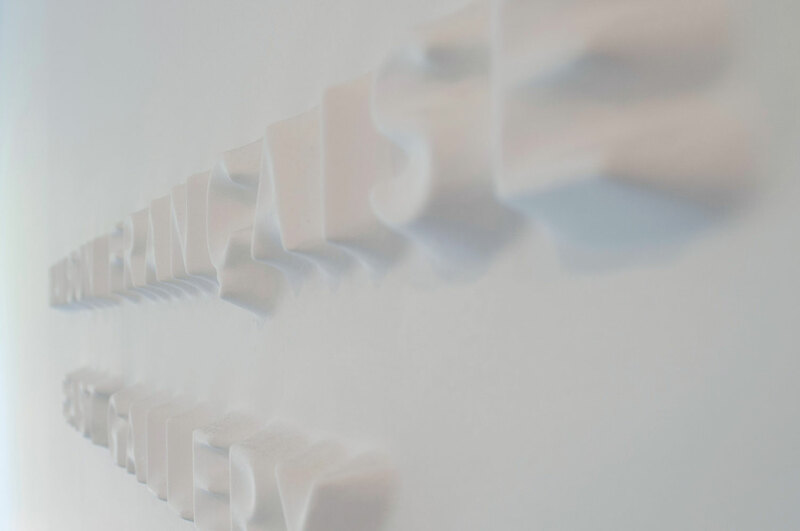 The signs’ appearance shifts throughout the day as the light changes in the lobby and on the facade. 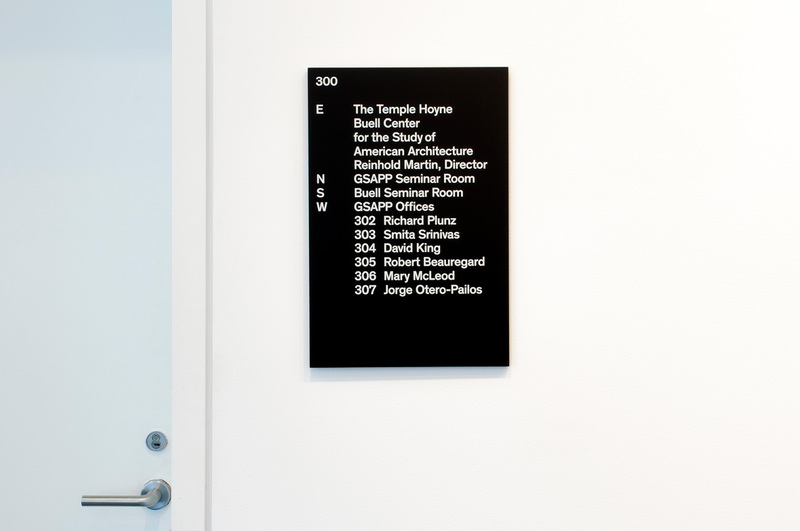 While the building and lobby signs are designed as integrated components of their environment, subtly protruding and receding, the wayfinding signage takes the opposite tact by using black acrylic rectangles with white lettering to contrast the building’s white walls. 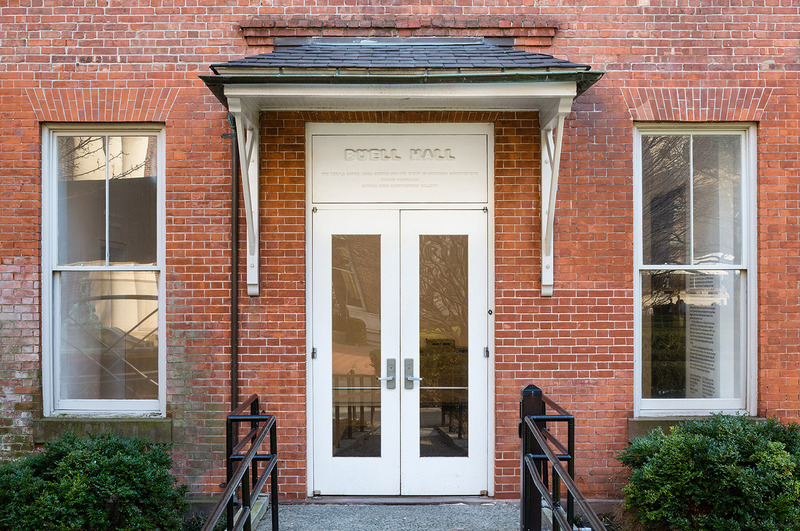 These signs aim to provide clear wayfinding information, including cardinal directions, at key points throughout the repurposed eccentric building. 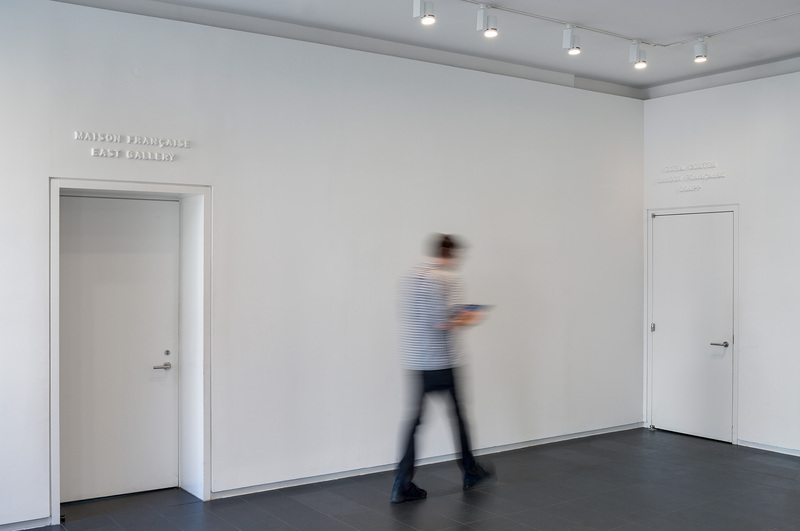 MTWTF sidestepped historic or postmodern references by engaging the contextual situations at hand—a white lobby with north facing light and three floors of heterogeneous rooms—to create two unique, contrasting lettering systems that are both functional and aesthetically intriguing.